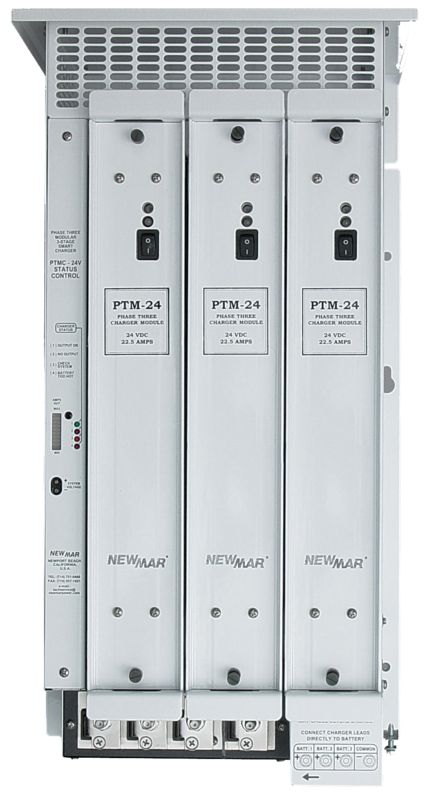 The PTM charger provides a significant improvement in system reliability by utilizing multiple independent charger modules that plug into the unit, and should a fault occur in one module, the system continues to operate, thus is considered “fault”. The system consists of a wall mount case which serves as connection point to AC input and battery output, (3 bank) and contains three front-facing power bays, each accommodating a 22.5 amp charger module which slides and locks in place creating a 24V, 67 amp charger. If a module fault occurs, a front panel indicator and alarm relay is activated and the system continues operating on the other modules. A fourth bay houses the “smart” controller circuit that provides 3 step charging, temperature compensation, system status LED’s, alarm contacts and indicators. Should the controller suffer a fault, the charger will still operate at full power at float voltage mode. 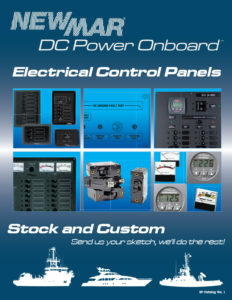 The controller module is also configured for easy plug in replacement in the field. 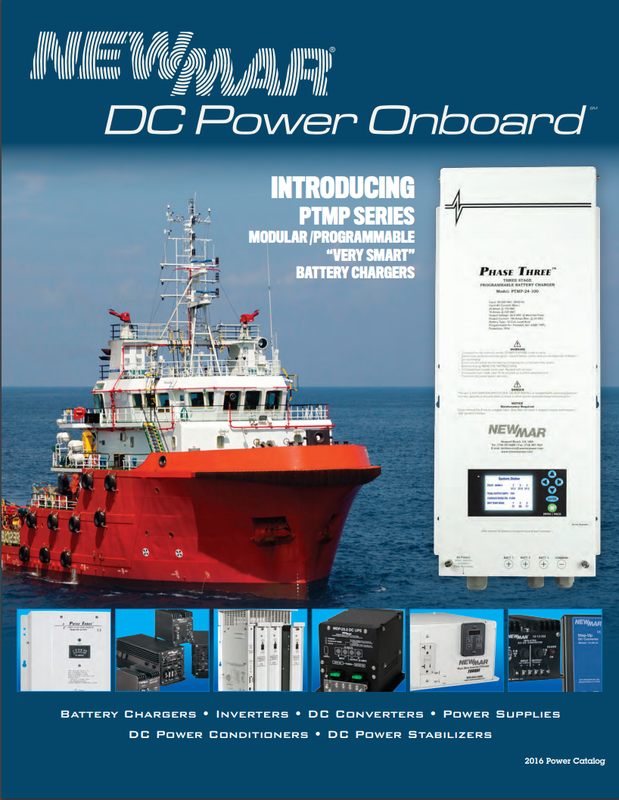 Vessel operators appreciate this system approach to reliability and serviceability whereby a fault in one of the modules is easily identified and it can be quickly replaced with an on-hand spare or an exchange unit from the factory, all the while the charging system and the vessel continue to operate. Redundant, independent 22.5 amp charger modules increase reliability – a malfunction of one does not disable the charging system; remaining modules continue to operate.